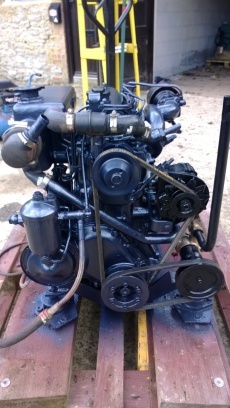 Mercedes OM636 42hp 4 Cylinder Heat Exchanger Cooled Marine Diesel Engine Complete With Gearbox, Control Panel & Wiring Loom. Removed in good running order from a Westerly 36 as part of a major refit. It has been test run at our workshops and started instantly, running well with no smoke, leaks or funny noises. 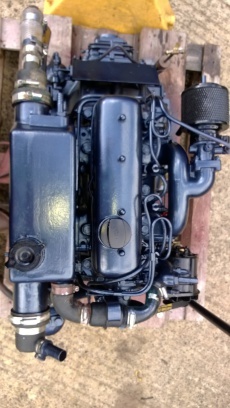 It has been thoroughly cleaned and repainted with heat resistant marine engine paint and is ready to go to work.